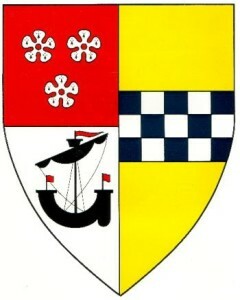 The ships also recall the famous ‘Clyde Steamers’ that served the county and subsequently reference the Clyde itself. 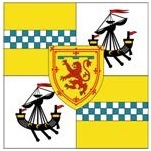 A second proposal, also from Philip Tibbetts, which can be purchased from here, specifically represents the county’s three main islands Arran, Bute and Great Cumbrae. 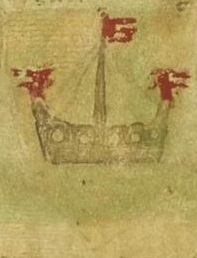 Again the blue and white checked fess is recalled in the counter-changed partitions of the flag and the same ship theme, as seen in the previous suggestion, deriving from the Somerled symbols, also appears. 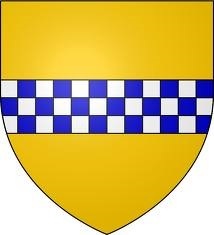 each of whom has a quartering of Or a fess chequy azure and argent, that is, yellow with a blue and white chequered bar across the middle. Rupert advises that his choice of a pale blue field has no specific symbolism but is used for aesthetic reasons and to aid the effectiveness of the flag. 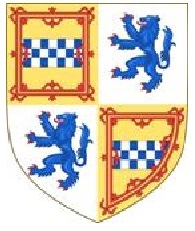 His second proposal has the colours found on both local aristocratic arms, replacing the light blue background with a yellow one. combines three of the ships from the local civic arms, again representing Arran, Bute and Great Cumbrae, with the blue and white chequered bar (“fess”) and yellow field, that feature prominently in local heraldry. This design is available to buy here. This entry was posted in Buteshire. Bookmark the permalink.